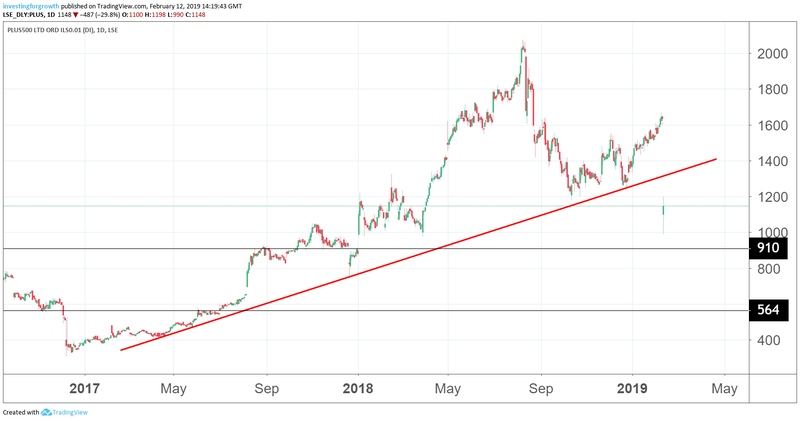 Is Plus500 share crash a chance to buy? Plus500 has boomed in recent years, but this profits warning has put the shares at an 11-month low. 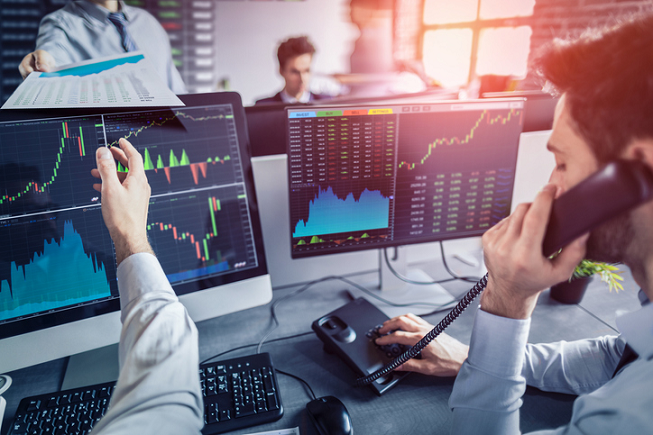 Riding high last summer following a string of profit upgrades, high-yielding Plus500 (LSE:PLUS) crashed back to earth today when the financial trading platform warned on 2019 profits. It marks another chapter in an extraordinary few months for the contracts for difference (CFD) specialist, whose shares doubled in value at one point in 2018 thanks to a surge in customers wanting to bet on the price of Bitcoin and other cryptocurrencies. But the short-sellers were never far away, however, and Plus500 has obliged those worried by its projected 13% dividend yield by warning that the impact of recent European regulatory changes would leave 2019 profits materially lower than current market forecasts. Shares in the former AIM-listed company, which peaked at above 2,000p in August, were back at 1,114p following today's 32% slump — the lowest point since last March. While brokers Liberum and Berenberg have reset their price targets at 1,760p and 1,800p respectively, down from 2,800p and 2,320p, the pair are still supportive of the high growth, cash generative business. In Berenberg's case, they said it was encouraging that Plus500 had removed a source of uncertainty by quantifying the impact of last August's Europe-wide restrictions on CFDs for retail investors. And as the industry is now more heavily regulated, it believes this should allow larger players such as Plus500 to take market share. While the company said the measures imposed by the European Securities and Markets Authority (ESMA) were responsible for a marked reduction in revenues, it said they had created a "backdrop against which we expect to excel over the medium to long term". Clients classified as "professional" are exempt from the regulations, with Plus500 approving 44% or 7,229 of the applications for such status in the 2018 financial year. Professional revenues in Europe accounted for 61% of European revenues in the second half. The impact of the ESMA measures were offset in 2018 by a US$56 million gain from customer losses due to volatile markets. Revenues across the year jumped 65% to $720.4 million, with underlying earnings almost doubling to $506 million thanks to an "exceptional" margin of 70% in the period. A planned increase in marketing spend means City forecasts for margins this year are likely to be closer to 55% than 65% previously planned. Liberum pointed out today that second half revenues had beaten the guidance issued in the summer by 59%, or by 28% when stripping out customer losses. The broker said the now stock looked cheap on a 2020 price/earnings multiple of less than 10x. They had previously valued the company on 14x based on a higher EPS number, compared with 17x at the time for rival IG. Plus500 is maintaining its 60% dividend pay-out ratio, having increased shareholder returns by 15% to $229.7 million in today's results. Year-end net cash rose 30% to $315 million, with Berenberg forecasting a 4.8% dividend yield for this financial year.